Manchester United have again been linked with long-term target Toni Kroos, with the midfielder available this summer to the Red Devils for £50m. The German - who has been capped 91 times by his national side - has seen major success for Real Madrid since his £27m switch from Bayern Munich in 2014, winning three Champions Leagues and a La Liga title. However, with no goals scored and just three assists in 21 league games for Los Blancos this campaign, he has contributed to Madrid's disastrous season, who have been eliminated from both the Champions League and the Copa del Rey. The S​un report that ​Kroos wishes to reignite his career elsewhere, and ​Manchester United and the Premier League in general are greatly appealing to the World Cup winner. 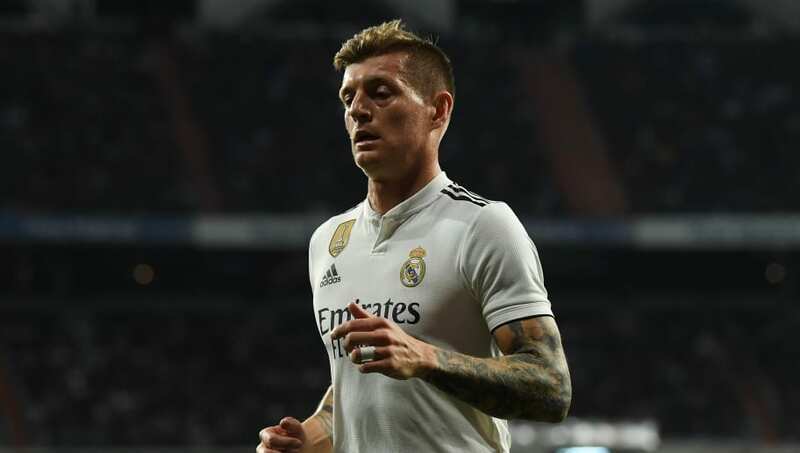 Despite his contract running until 2022, Manchester United believe they can snap up Kroos for £50m this summer, as they look to improve the quality of their midfield. David Moyes has claimed that Kroos agreed to join Manchester United back in 2013 when he was manager, but the move was hijacked by ​Real Madrid, and he instead joined the Spanish giants a year later. Paris Saint-Germain are also reportedly in the race for the pass master, willing to bid up to £68m and offer Kroos a 50% increase on his salary. However, Ole Gunnar Solskjaer is looking to free up the Manchester United wage bill by axing ​Alexis Sanchez, ​Antonio Valencia and ​Marcos Rojo in the summer, and will have no hesitation in battling the French side for his signature. Manchester United face ​Watford in the Premier League next, where they will be hoping to bounce back from two consecutive losses in all competitions, as the race for Champions League football heats up.